The ubiquity of the USB drive has made us overly trusting of the technology. We plug them in, pull them out, and plug them in again without a second thought to issues of security and protection. And I’m not just talking about “safe ejection” to prevent data corruption. I’m talking about viruses, malware, and all of those pesky nuisances that love to infect every corner of our systems. Unfortunately for us all, we need to be diligent about USB security just as much as we are about hard drive and network security. Keep reading to learn more about this problem and how you can adequately guard yourself against it. When we hear about network and computer safety, we often hear tips and tricks that are somehow related to the Internet. Don’t click random email links. Don’t visit shady websites. Keep your firewalls up and your antivirus databases updated. Use safe passwords 5 Common Security Mistakes That Can Put Your Privacy & Money At Risk 5 Common Security Mistakes That Can Put Your Privacy & Money At Risk How vulnerable are you? Ask any person who’s been robbed if it came as a surprise - I guarantee you it did. As the saying goes, the thief always comes in the night when you’re... Read More and stay vigilant against keylogger infections Don't Fall Victim to Keyloggers: Use These Important Anti-Keylogger Tools Don't Fall Victim to Keyloggers: Use These Important Anti-Keylogger Tools In cases of online identity theft, keyloggers play one of the most important roles in the actual act of stealing. If you’ve ever had an online account stolen from you - whether it was for... Read More . Now consider this scenario: a high-security headquarters where lots of confidential work with sensitive data is being done. Places like this are often isolated from the Internet, instead relying on a closed-circuit intranet for data sharing and communication. And when you consider a place that’s completely severed from the malice of Internet hackers, you’d think the security would be top-notch. And in reality, the security is good. It’s near impossible to hack or corrupt an internal network like that without performing the kind of impressive stunts that you’d see in the next Mission Impossible. Yet even so, hackers were clever enough to find ways to infiltrate secure compounds from a distance: by infecting the very USB drives that employees would use to transfer files from outside to inside the building. There are plenty of cases where viruses piggybacked onto USB devices in order to spread like wildfire across the world. Remember the dreaded Conficker worm? The United States military ended up having some trouble with the agent.btz worm that was brought in through an infected USB drive. And more recently, there was the cyber-weapon Stuxnet worm. And so, USB drives are like mosquitoes. They have the potential to pick up infections when plugged into an infected computer and they can spread those infections almost instantaneously as they’re plugged into other devices. This is why it’s so important that you keep not only your computers clean but your USB devices as well using regular scans and antivirus programs Free Anti-Virus Comparison: 5 Popular Choices Go Toe-To-Toe Free Anti-Virus Comparison: 5 Popular Choices Go Toe-To-Toe What is the best free antivirus? This is among the most common questions we receive at MakeUseOf. People want to be protected, but they don’t want to have to pay a yearly fee or use... Read More . USB Disk Security is a tool from Zbshareware Lab that is as close to an all-in-one USB protection How to Password Protect and Encrypt a Flash Drive: 5 Easy Methods How to Password Protect and Encrypt a Flash Drive: 5 Easy Methods Need to create an encrypted USB flash drive? Here are the best free tools to password protect and encrypt your USB flash drive. Read More suite as you can get. It provides a whole host of features and safety options to keep you as protected as you can be in all things related to USB drives. Most USB security tools will focus on the USB drives themselves, but USB Disk Security goes way beyond that. USB Shield, which protects you in real-time against connected USB devices. USB Scan, which scans connected USB devices for malicious software. USB Access Control, which prevents your computer data from being copied to USB devices. USB Drive Control, which prevents USB devices from even connecting to your computer in the first place. USB Disk Security supports Windows XP, 2003, 2008, Vista, and 7, but it may interfere with other antivirus programs already installed on your system. It’s free with limited features. A lifetime license will cost you $55 USD which unlocks all features and includes all future updates to the software. As you might have surmised from the description of USB’s dangers, most viruses depend on automatically running when the USB drive is plugged into a computer. This is in large part determined by the presence of an autorun.inf file which, as the name suggestions, automatically runs upon connection. BitDefender Stay Safe Online with the New Bitdefender Total Security 2013 [Giveaway] Stay Safe Online with the New Bitdefender Total Security 2013 [Giveaway] Bitdefender Total Security 2013 is packed full of features without the impossible learning curve. 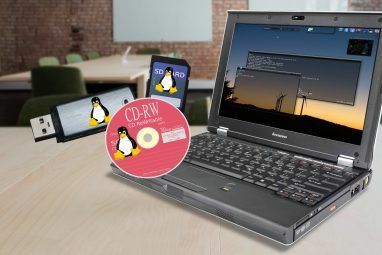 This thing is a gargantuan software package that has everything you’ll ever need when it comes to computer security. This week,... Read More , a security software company that I’ve praised in the past, has a free tool called the USB Immunizer that immunizes your chosen USB device against malicious autorun.inf files by creating its own special autorun.inf file that cannot be deleted or replaced. BitDefender USB Immunizer works on Windows XP, Vista, and 7 on USB devices that are formatted with FAT, FAT32, and NTFS file systems. 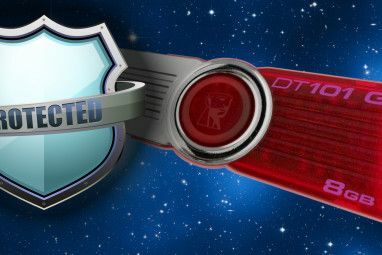 The USB Dummy Protect program has an interesting theory behind the way it protects your USB devices. Long story short: viruses and malware require available memory space in order to exist on a USB drive, therefore, if you fill up a USB drive entirely and leave no space whatsoever, then viruses and malware can’t get on no matter what. So that’s what USB Dummy Protect does. It creates a dummy.file file on your USB device that takes up every last bit of free space. When you want to remove that protection, you just delete the file. Easy. If you tend to transfer files to and from your USB drive frequently, this may not be the most elegant solution, but if you have a USB drive whose contents rarely ever change then this could be fantastic for you. 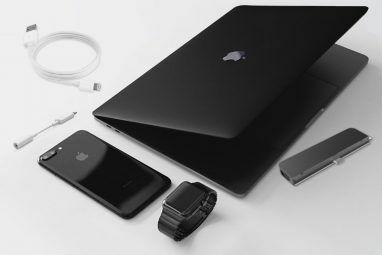 However, due to the way that FAT file systems are designed, this method will not work if your USB device has more than 4GB of free space (since file sizes in FAT systems have a maximum of 4GB). For NTFS drives, you shouldn’t experience any problems. USB drive dangers require constant vigilance. You might use the same USB drive for years without a hitch, then one day you could grab a file off of your friend’s computer and end up infecting your home network with something serious. USB security is not often on the minds of computer users, even the tech-savvy ones, but as long as you are aware and take proactive steps against the potential spread of viruses that piggyback on USB devices, you’ll be all right. If you have any other suggestions for software aimed at USB-related security, please share them with us in the comments. 4 Reasons to Switch to Managed WordPress Hosting for Your SiteAvoid Sneaky Online Marketing Scams By Popular Websites! Why no mention of Windows 8? It's so true that USB drives are inherently (and increasingly) prone to spreading viruses. Scanning is nice, but there's a simple, foolproof measure that works even better: a physical write-protect switch. Most of the time you're plugging in just to transfer from your drive to the computer, not vice versa. So just flip the switch unless you need to write. It's amazing that it's only gotten harder to find a drive with such a switch, though. I only know of a few companies, like Kanguru, that still offer it. I've actually never seen a USB drive with a write-protect switch. That brings me back to the old days with floppy disks that had similar switches. I would like to see more of that, yeah. Will add that the viruses/etc that generally add themselves to a USB device tend to piggy back on moves that you make; meaning when you move say a zip it incorporates writing to the drive when you access it. Also, your antivirus is only as good as it's definitions, viruses are ever evolving and if you don't update your virus software regularly, preferably daily, it can't protect you. I have Avira Antivirus Premium which automatically blocks all autorun.inf files. Do you think this is enough protection? Autorun protection is good to protect against a lot of USB-related malware, but I'm hesitant to say that it's "enough" simply because you never know when someone will devise a new type of virus that doesn't use autorun. I suppose for everyday use, autorun protection is great. In the late 90's I read an article where a security company salted the parking lot with USB flash drives. The drives would automatically 'phone home' when plugged in. Something like over 40% of them got plugged into company hardware, despite a NO USB Drive policy. If you're a Sys Admin, you need to be aware of this. LOL. I've never heard of that but it's hilarious... in a facepalm sort of way. It's amazing how many people act without really thinking about the repercussions. Kids can be reckless with technology. God only knows how many viruses and malware I unknowingly brought onto my old computers back in the day. Keep those USBs scanned and protected! My son's friend thinks he is a hacker. But its mostly using cheat codes from various sites on the web. I have told my son,l those sites,l by definition, are full of hacks and cheats. its really not what I want on my computer. My best defense? Sandboxie. Implement the forced folder feature in the paid version. nice article, but the name gives the impression that [all] usb drives are dangerous- as if they would attack us- so wear a protective gear. As long as you don't put any files you have no knowledge about in your USB then it should be fine. I never really thought about usb security. So thanks for making this article and make me realize something ! I'm using SecuSimple Protect My Disk. A good tool which does the job. Actually, the first flash drives were much smaller than that. I still have a 512K one around somewhere. BItdefender usb immunizer is the best tool for flash drives. Aside from scanning USB drives using antivirus programs, I also tend to check the USB myself for infections. Viruses / malwares usually infect the computer once you open your USB via explorer so what I do is I open the USB using Winrar / 7 zip / Winzip. I then check on the existing files making sure that all hidden and system files are shown. For example, I know I have file A, B and C on my USB drive then decide to copy file D from my friend's computer. Once I check the USB on my computer using 7zip, I notice there was an additional file E. You can almost certainly guarantee that this is a virus and you can delete this file instantly using the 7zip without it infecting your computer. a) you don't know what files are and should be in your USB drive . b) your USB drive has so much content that you become lazy to check each and every directory. c) a virus \ malware manages to infect your computer even though your using those archiving apps I mentioned. I never encountered such viruses so far though. DIY security measurement: create a folder named "autorun.inf", put inside a dummy text file "readme.txt" - put a short text in it, usu. explain the reason why of this file and advise not to delete it. Now you have a small package. Copy it in every USB drive, harddisk partition. Change folders attributes to hidden, read-only in every drive you put it in. 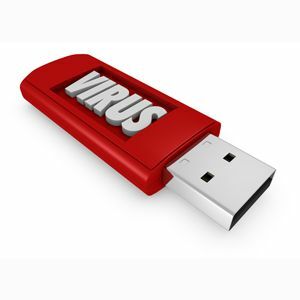 Usually USB viruses spread when USB is inserted and system runs USB using infected autorun.inf file which makes the virus to copy itself into your harddrive and also copies the infected autorun.inf. By following the above instructions, the virus files may copy itself into your computer but it won't run, because in your harddrive, you have a folder named autorun.inf and we know a folder is higher level from a file with the same name. The read-only attrib. makes it harder to delete the folder. Extra measurement is putting a file inside the folder. As we know, it's harder to delete not empty folders. Where I work, there was a large problem of everyone's flash drives getting infected. Our IT department would clean the computers, but since the USB's all had the virus on them, all the computers would keep getting infected again, causing an endless cycle... I never saw what the virus did, but just the fact that it was infesting everything made me want to get rid of it. After investigating it, I became aware or what Gjergji Kokushta mentioned above, and made a batch file to check for, delete, and create the files Gjergji mentioned above, including read and write protecting them and also placing a detailed ReadMe.txt, as well as a copy of the batch file into the new READ ONLY and HIDDEN autorun.ini folder. REM WHAT DOES THIS BATCH FILE DO? REM way that prevents the virus from reinfecting the flash drive. REM drives again, as long as you do the below to all of your flash drives. Good article, Joel. Many out there have nevefr considered not even one of the things you have put forth for thought & action. Thank you for writing this. many people should read this, as I always encounter people asking to help with their infected flash drives. Some rather good ideas, but I'm a little confused as to why USB Dummy Protect is prevented from working on FAT partitions. If the partition is FAT, surely the program could not simply just detect that it is FAT and split the file into 4gb chunks, and still take up all the rest of the space on the USB stick? If I'm thinking correctly FAT is the least secure file format for windows, so doesn't using FAT kinda defeat the purpose of using USB Dummy if a virus doesn't need permission to delete or alter its contents? Sure some viruses can change permissions, but any slight advantage could be the difference of being infected or not. I think that's what the creator was going for, but I could be wrong. and less well known security products, but both of them automatically scan USB devices whenever they are connected. I've tested both products myself and can report that this feature does work as advertised. I would not be surprised to see similar capabilities included in big name security products in the future.